Ford ESP at discount Pricing Selling nationwide. Quick & Easy Online Pricing!! Our Online Quote system will make sure that you get a quick and accurate quote for the numerous Ford ESP plans available to you. 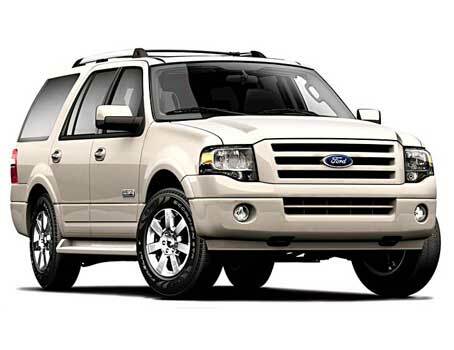 You are just a few clicks away from seeing some of lowest pricing on the internet for Ford ESP. Want options? You´ll have plenty of options. You can choose from four levels of coverage, multiple deductible options and multiple term choices. Whether you are a high mileage driver or a low mileage driver, we have a plan that will suit you to a tee. Do you want true bumper-to-bumper coverage? With ESP PremiumCare, virtually every electrical and every mechanical component of your vehicle is covered with only a small list of excluded items. There is no better coverage available to you anywhere, at any price. On a tight budget? 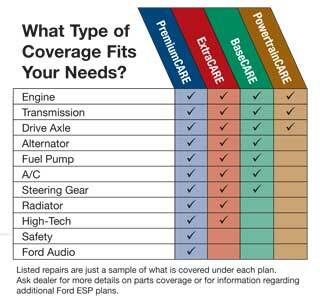 We even have a plan for you with Ford ESP PowertrainCare, you can be covered for the failure of some of the most expensive components of your vehicle. Why Our Pricing So Much Lower Than Your Local Dealer. We offer Ford ESP nationally, to all Ford, Lincoln and Mercury owners. Our internet model allows us to sell in volume and offer Ford ESP at highly discounted prices. Service contracts purchased at the local level through most dealers are normally sold at MSRP or higher, and are priced that way, so they can make a significant amount of money selling them, This is especially true if there wasn't much profit made in the vehicle sale price. Many Ford dealers look at our pricing and think that we´re not making enough to bother doing the paperwork. Honored By Every Ford Dealer In the U.S. & Canada! Once you purchase Ford ESP from us, your coverage will be registered with Ford and will be available to every Ford dealer using Ford´s dealer communication system. You cannot be refused by any Ford dealer. ...and what´s more, your Ford vehicle will be repaired by factory trained Ford technicians, using Ford approved parts! This will help ensure that your Ford vehicle will stay running and operating like it did when it drove off the assembly line.